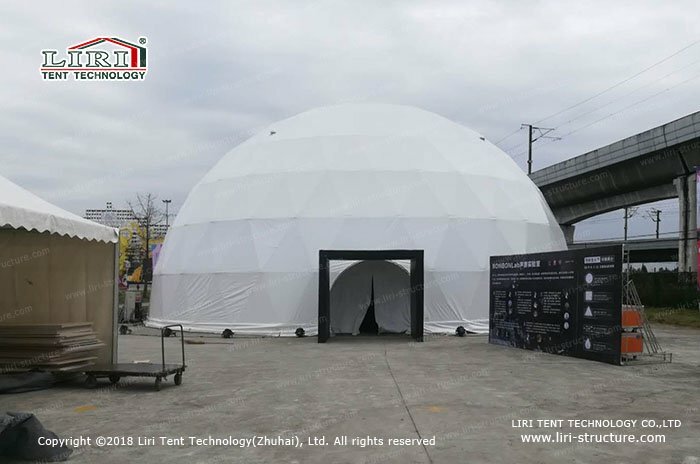 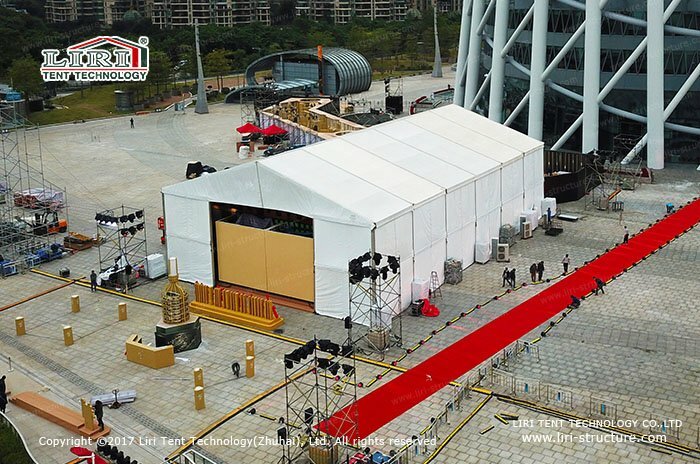 Liri Tent has built up one standard system from the design to installation in our 20 years exploration in this tent, we have provided various temporary building tent designs, gain highly recognized and satisfied from our customers. 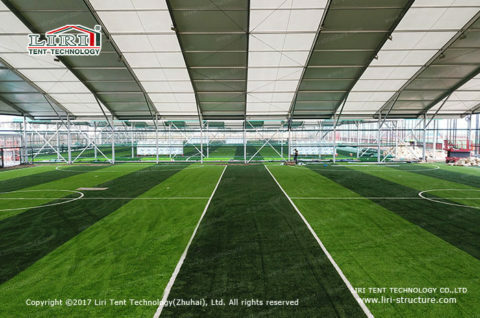 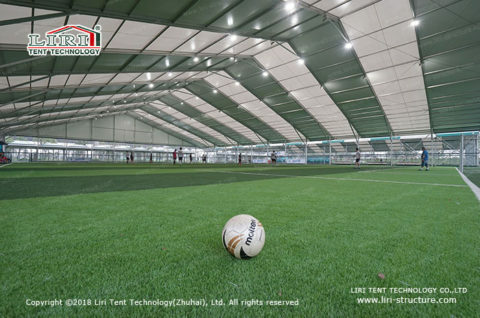 Recently, Liri Tent worked closely with National Sports Bureau to design one large youth football training base, to work out one completely supporting youth football training base. 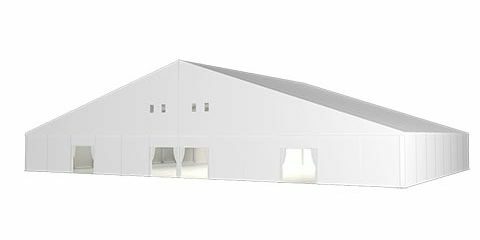 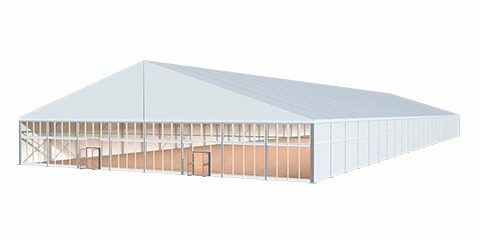 After long time field trips, our team took full account of the weather, location, and other factors, finalized one tailored- made sports temporary building tent solution. 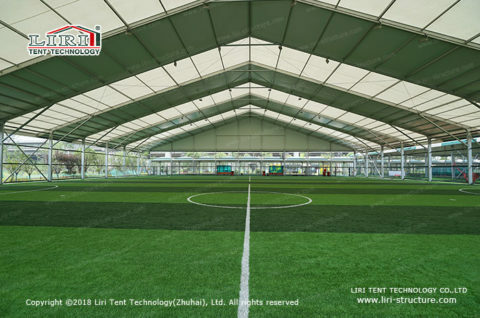 Solid and safe structure, as we reinforce the whole structure and connector design. 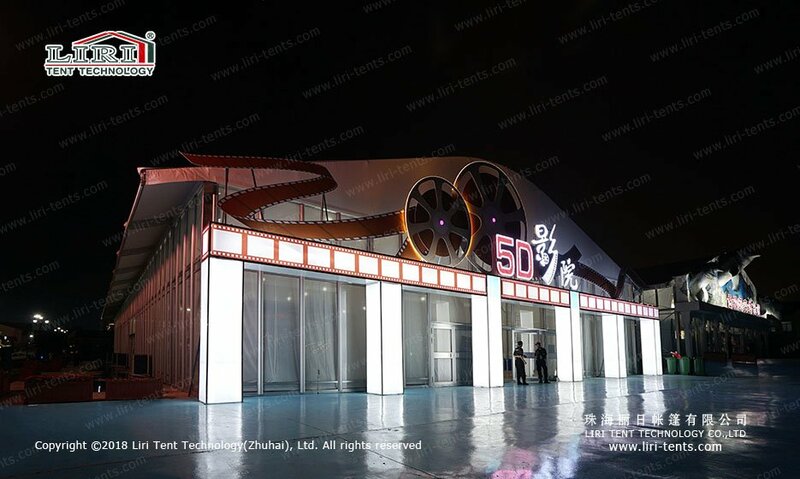 High-quality environmental aluminum frame, offer our client the attractive and elegant shape, no rust and very strong, longer life time. 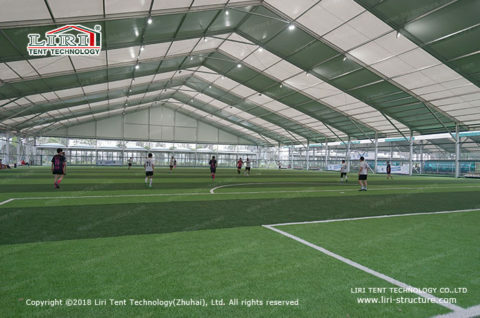 Shorter installation time, easy assemble and disassemble, reducing sharply the whole project cost. 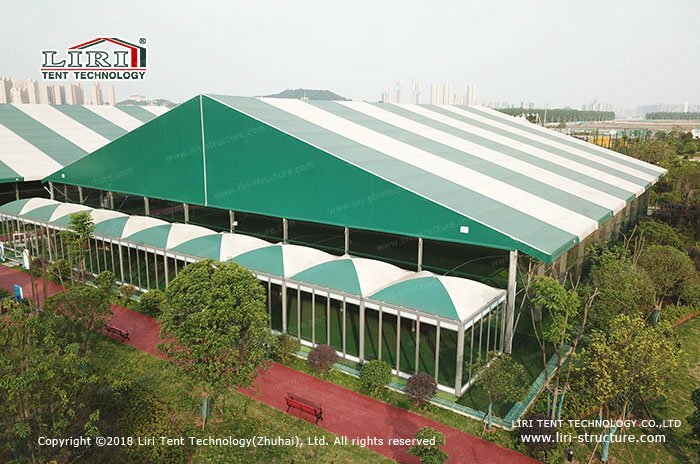 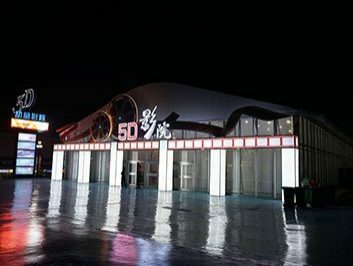 Anti-UV, waterproof, fire retardant fabric, and wind resistance structure. 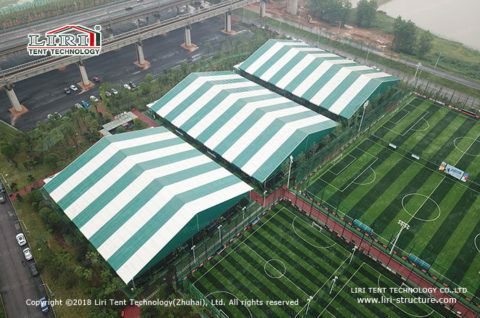 Sports temporary building, equipped with the green against the translucent fabric. 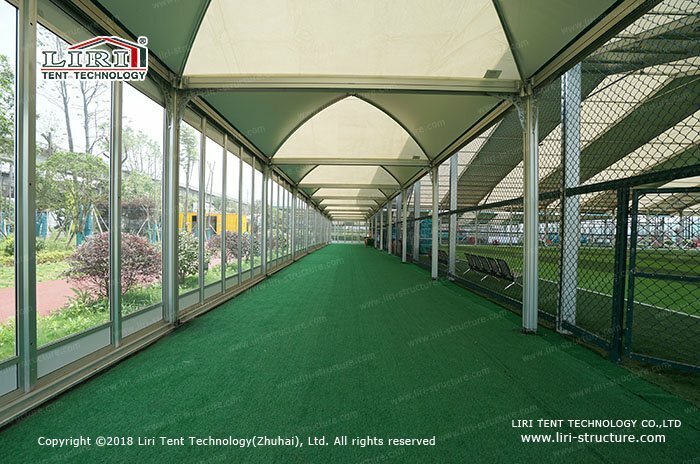 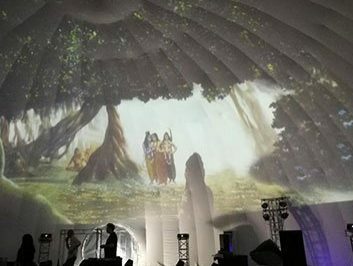 Tent inside can easily get the daylight easily because of the translucent fabric, which can save energy and reduce costs. 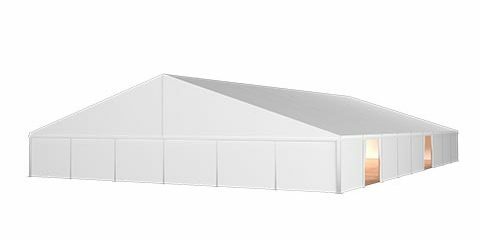 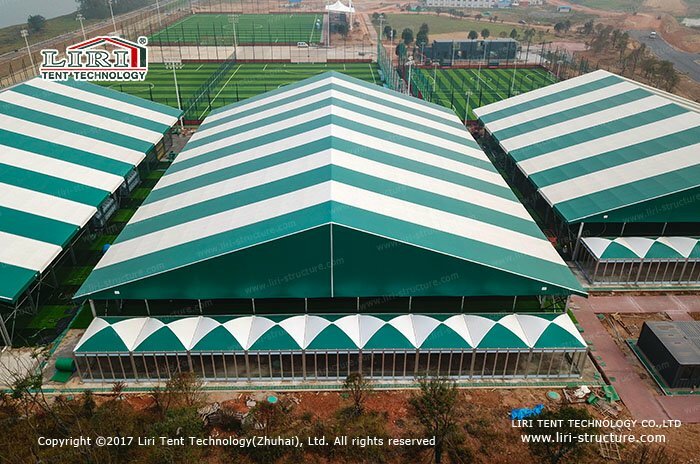 Most important are that our color of the PVC fabric is very rich, can also be customized by the client’s request, making the tent more attractive. 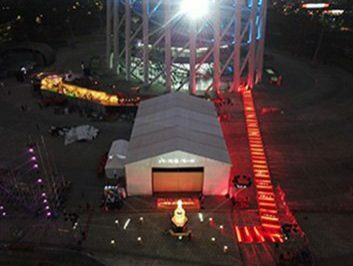 Liri Tent, 20 years experience in the tent field, only focus on the tent product, to complete each tent with the artisan spirit, pursuit excellence and prefect, only for better service to every customer.